We also collaborate with the Nachiketa Trust to produce Sandarbh, which incorporates educational referral material and education development issues for students, teachers and the greater education community. This magazine is published in Hindi, and ARCH is responsible for the Gujarati edition each month. View Sandarbh online at the Eklavya website. To date, we have published 28 booklets in Gujarati regarding various health topics. 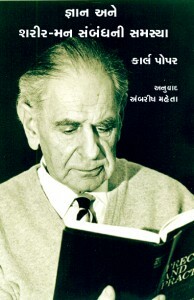 We translated the work of Karl Popper, a philosopher who has greatly guided our work, into Gujarati in 2006.